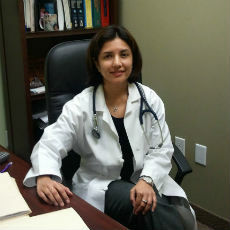 West Cary Medicine is a primary care practice. Our goal is to provide excellent health care to increase quality of life. We are committed to provide evidence based medical management. We are here to provide counselling and guidance to better living. Our physician Dr. Farhath Abdul Kareem, MD is board certified in Internal Medicine and has had specialised training in womens health. We provide treatment to men, women,adolescents above 12 years of age and older adults. We are conveniently located close to the Research Triangle Park with easy access from most workplaces. We provide extended hours of service and weekend service for the convenience of working patients. We accept most insurances and provide same day appointments. Our patients are assured of receiving only the finest quality of care since we have a genuine concern for their well being.